Buy direct from us, the manufacturer & save. P3. 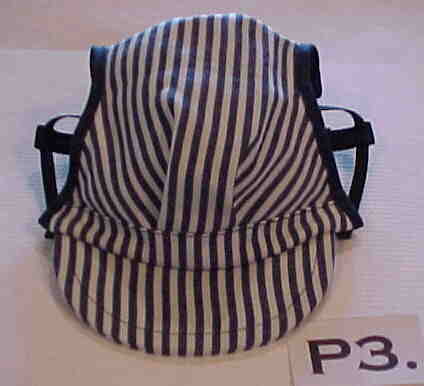 Railroad Style Dog Hat. It looks great with a fashion bandanna. 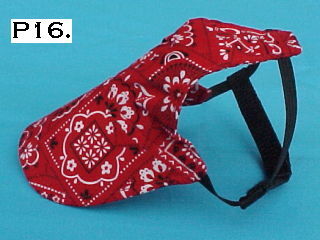 Small with 4 1/2" Brim - Fits Dogs 3-14 lbs. Medium with 6 1/4" Brim - Fits Dogs 15-35 lbs. Large with 8" Brim - Fits Dogs 36-80 lbs. 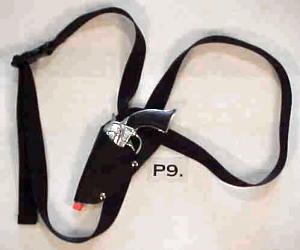 The gun & holster measures 3 1/2" W x 8" L. Harness is 1" wide. 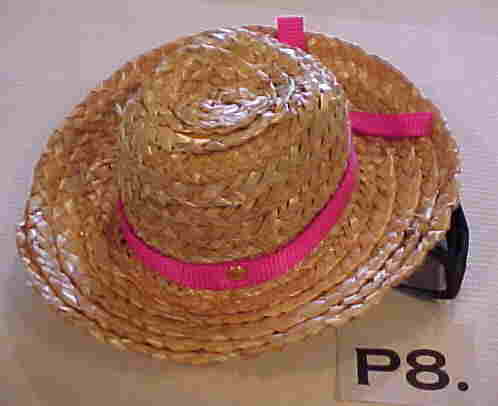 It has a long brim to protect the dog's eyes from the sun. Custom made - allow extra time.